Whisk together the yogurt, stock, olive oil, lemon zest and juice, garlic, salt, and herbs until smooth. Stir in the cucumbers and golden raisins. Chill the soup for at least 30 minutes. 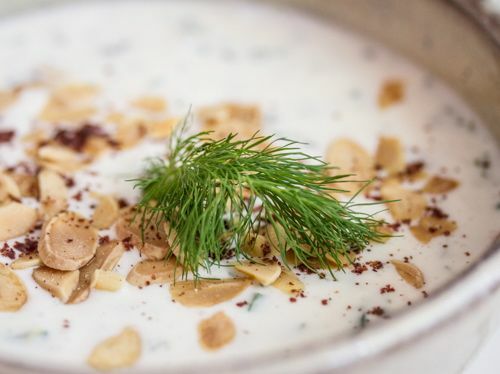 Serve topped with toasted almonds, sumac, and additional herbs if desired.